It’s Creative Art Therapies Week! Let’s celebrate all the creative arts have to offer in healing both mind and body. 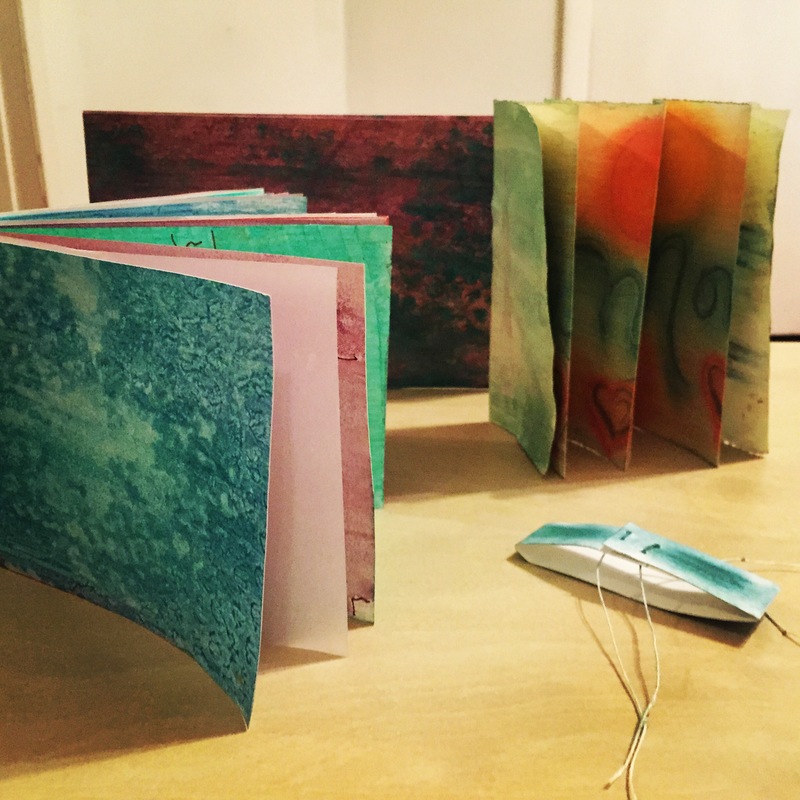 Here is a photo of what I did in a bookmaking workshop, “Creativity and Content in Making Books” in NYC at the Expressive Therapies Summit last November with Linney Wix Ph.D. Linney is a professor in the Art Education Department at the University of New Mexico and I have admired what she does with bookmaking for years. I enjoyed our day long adventure with her, where we were lucky enough to spend the day at Pratt’s campus in Brooklyn. Look for me to expand on this work in the coming year through my art therapy practice, at Cloud Tree Studios and Gallery. I am opening a primary Art Therapy Studio in east Austin at Cloud Tree. I have had a life long vision of a studio location in addition to the traditional counseling and psychotherapy setting where I have worked for several years. More to come soon on the new space. For now, enjoy, relax and welcome Spring. Go Make Art!